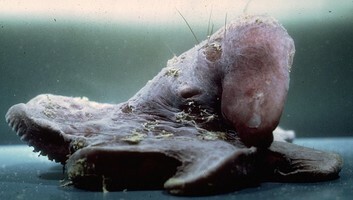 Most species of Grimpoteuthis [dumbos] are poorly known. 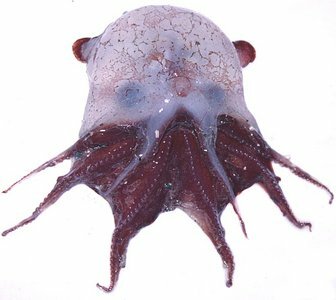 They are somewhat less compressed in the anterior-posterior axis than are members of Opisthoteuthis [flapjacks] and they generally have relatively larger fins. 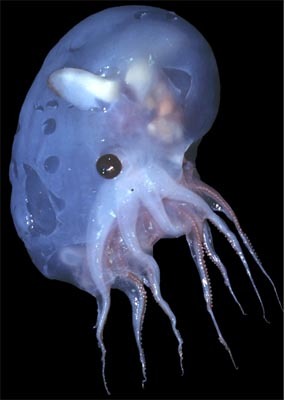 Me: Look at this freaky cephalopod! Spouse: AHHH HEAD CRAB AHHHH. Me, vaguely disturbed: What is a head crab! Spouse: They are from a game called Half Life. Me: Oh, I think I saw those on Penny Arcade.